We have partnered with Luma to build driver training that is grounded in best practices in learning science and instructional design. We use data from the training to better understand your drivers. The result? Training that engages drivers, enhances current practices, and creates efficiencies for carriers. DRIVE FIRST is aimed at enhancing your driver onboarding needs. Make your classroom session more efficient; by offering content online, you save classroom time for the information that requires more explanation. As part of DRIVE FIRST, drivers can complete pre-tests to access prior knowledge, find online employment forms with embedded instructions, and access interactive content and assessments on a variety of topics. With this training collection, you can add custom content, policies, and forms for your drivers. Rewards and points can also be incorporated. DRIVE FIT training was created because the drivers in the system asked for it. Content topics are relevant to drivers and written by content experts in the health and wellness industry. This training collection focuses on a wide range of health and wellness topics, including financial wealth, mental well-being, and eating and fitness. New topics are released and integrated with our rewards platform each month. Our goal is keeping your drivers healthy and on the road. DRIVE SAFE training delivers a variety of content to engage drivers. Content topics are based on consistent industry challenges and new regulations. The training is highly relevant and is created in a way that aligns with drivers’ learning preferences. 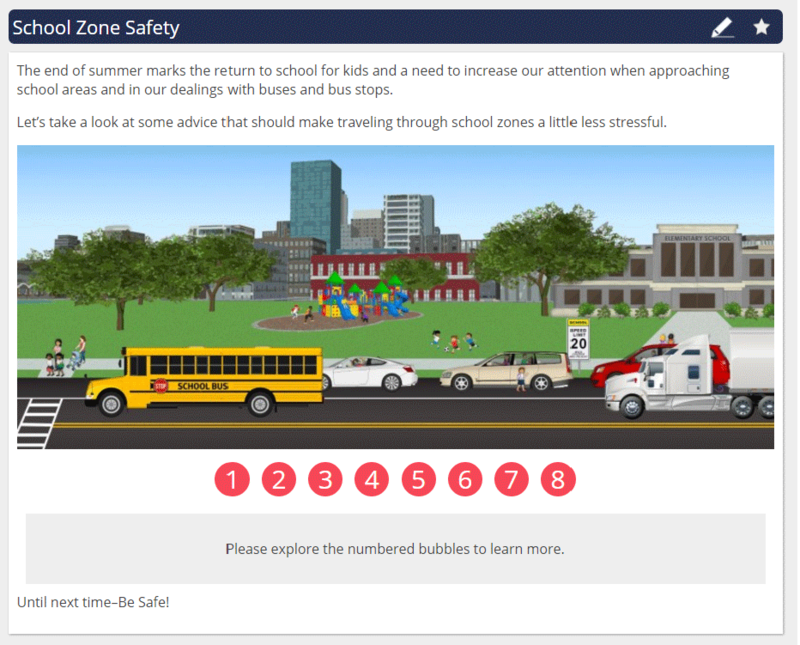 DRIVE SAFE training can be integrated with our rewards platform to engage drivers by offering rewards and recognition for completing monthly safety topics. It can also be used without rewards as a corrective action platform through which you can assign training to individual users or groups as they need it. Drivers can view their personalized learning records, and progress can be tracked in an easy-to-use interface. Of the drivers who have taken a Stay Metrics training, 76% (n=15,000) return to complete additional trainings. In fact, some drivers specifically ask for more training. 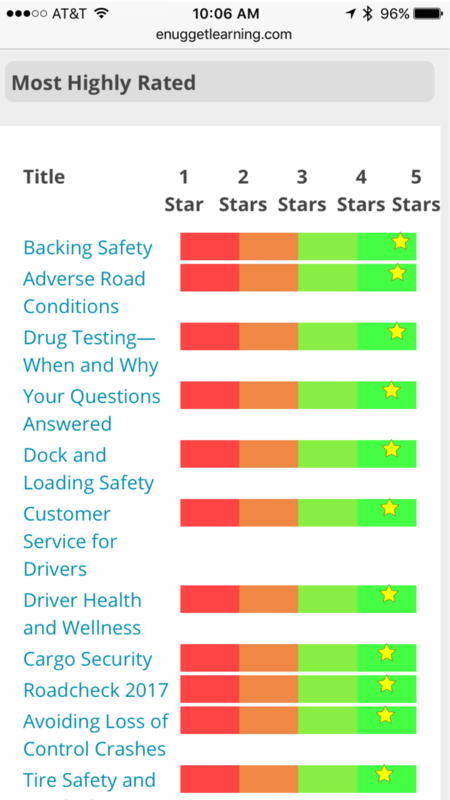 All drivers are able to leave unsolicited feedback and rate the trainings (1-5 stars). Learners can typically only remember seven, plus or minus two, pieces of information at one time. This is why our training is delivered as eNuggets®. We break down the most essential content so drivers can remember what they have learned. Our research has shown that, for online training, drivers prefer to learn via their smartphones and prefer to have access to multiple types of content. When you deliver content in the ways drivers prefer, training can be more effective.